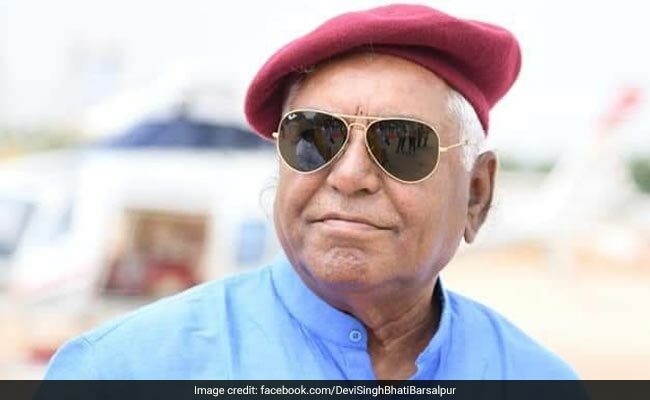 Senior BJP leader Devi Singh Bhati and his supporters were charged for allegedly thrashing two men and setting their vehicles on fire on the election day, police said Monday. Mr Bhati, a former minister in the state government, and his supporters allegedly thrashed Lakshman Singh and Ganpat Ram on December 7. The BJP workers also allegedly set their vehicles on fire, officials said. Alongside Mr Bhati, the cases mention names of over a dozen BJP members. Those named include Vishwajit Singh, Jalam Singh, Rakesh Mathur, Raju Modi, Vishnu Joshi and Udaibhan. "Acting on the complaint, FIR was registered against the accused and further investigation is on in the matter," SHO of Bajju police station, Vikram Singh, said. Rajasthan voted for 199 seats of its 200-member Assembly on December 7 and results will be declared tomorrow.